Adding paint to your home can be both an exciting and a daunting prospect. On the one hand, it’ll be nice to have some color on the walls but on the other hand, there’s a lot that goes into it. Here’s a short guide on interior painting tips to help you out. It’s easy to buy a test gallon of your paint color from the store, but is that really necessary? The short answer is, no. Instead, use paint samples to put on the wall. That way, you save money and time all while viewing that sample throughout the day. 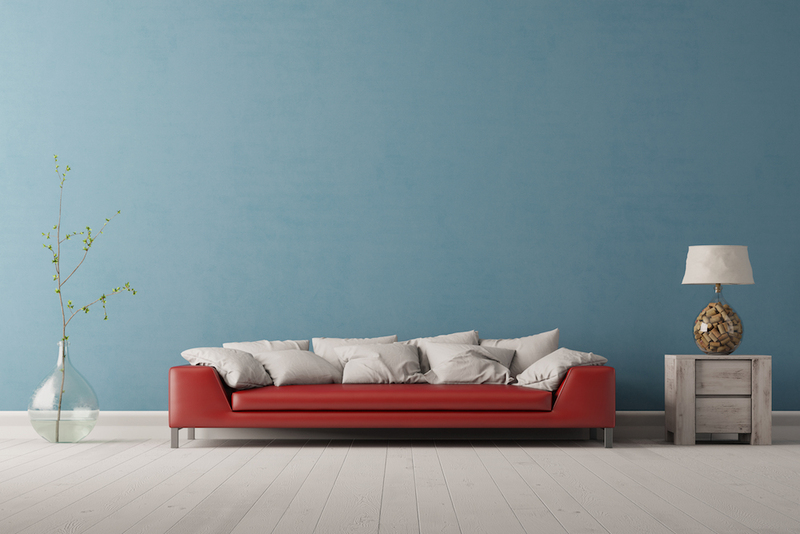 Choosing a color can be a scary idea but that doesn’t mean you should stick with white walls. Colors have the power to completely transform a room by adding warmth and depth. Your professional contractor can help you choose the best colors, as well as finishes, for your interior painting project. The importance of prepping cannot be overstated. In order for the paint to sit on the wall and look aesthetically pleasing, you should dust or wipe down all surfaces before and after filling in any holes or cracks. That way, you have a smooth surface to work with. A professional painter knows how to properly prepare a room for painting. With all the steps involved in painting a room, it can seem like a never-ending project. However, it’s important that you don’t skip any steps or try to rush through it. Hiring a professional means you don’t have to worry about sticking to the steps and can relax instead of spending your weekend painting. It’s not easy choosing the right paint for a room, but the actual process of painting can be a trial. A professional painter can do all the prep work and interior painting for you, so you don’t have to worry about it.